Known as the master of French Romanticism for his energetic paintings, Eugène Delacroix (1798–1863) was also a consummate draftsman. 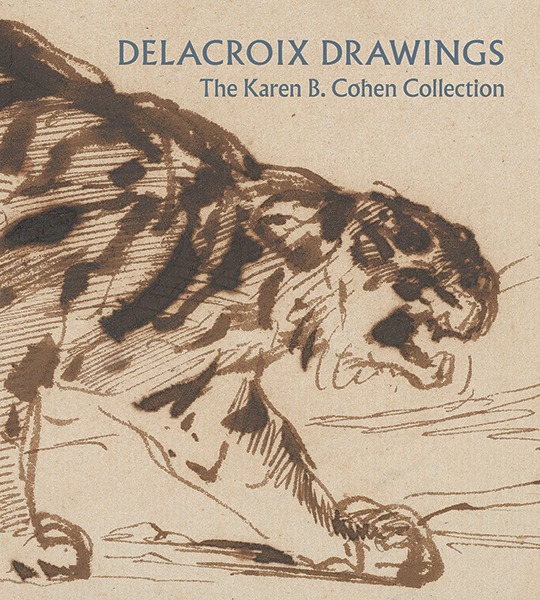 This handsome book, one of the few to explore this topic in depth, provides new insight into Delacroix’s drawing practice, paying particular attention to his materials and techniques and the ways in which the artist pushed the boundaries of the medium. The remarkable group of nearly 130 drawings featured here, many of which have been rarely seen, include academic and anatomical studies, sketches from nature, and preparatory drawings related to many of Delacroix’s most renowned canvases, among them The Massacre at Chios and Liberty Leading the People. Ashley Dunn is assistant curator in the Department of Drawings and Prints at The Metropolitan Museum of Art. Colta Ives is curator emerita in the Department of Drawings and Prints at The Metropolitan Museum of Art. Marjorie Shelley is Sherman Fairchild Conservator in Charge in the Department of Paper Conservation at The Metropolitan Museum of Art.